Give a thought when to welcome the newyear?????? With Earth ? bcos Kirbati (Caroline Island) is also first place on earth to see first ray of Sunlight of new year...i.e. around 10.02pm IST our local time in Kiribati Sun Rise occurs at 6.32 a.m. 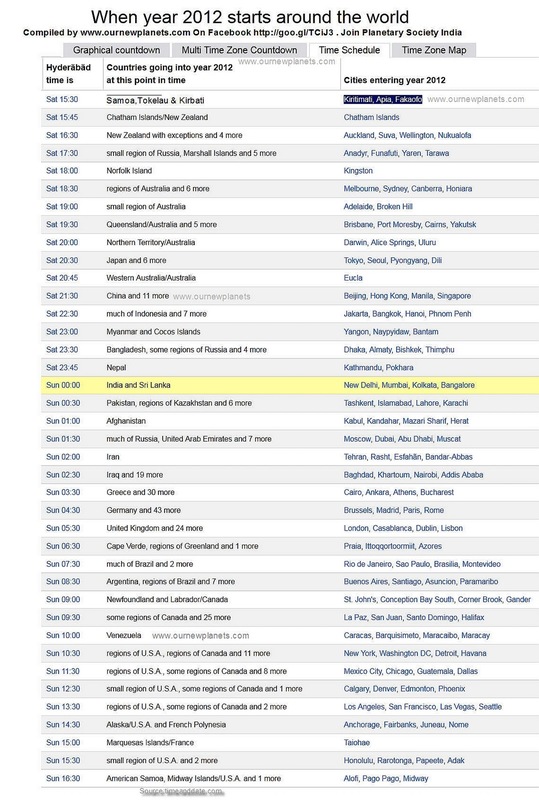 Here is image with details of different countries and when they celebrate (in IST). Ofcourse many of you send SMS can save money as well. 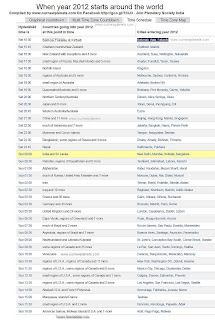 Click on this image to list of Countries and when they will welcome new year.